Lower interest rates, cash-out opportunities, and debt consolidation are just a few of the compelling reasons to refinance a home. The refinancing closing can be time consuming, however, which is why an experienced real estate attorney like Bruce R. Jacobs can make all the difference. The most important aspect of the refinancing process is to remember that you’re not just tweaking your existing loan—you’re securing an entirely new mortgage. Therefore, the same care and preparation that goes into an initial mortgage closing must also go into the refinancing closing process, because it is just as detailed and complex (if not more so). Calling upon our years of experience in the industry, we’ve put together this eight-step guide to help you understand the refinancing closing process and the ways in which your closing attorney will protect your interests as the process unfolds. 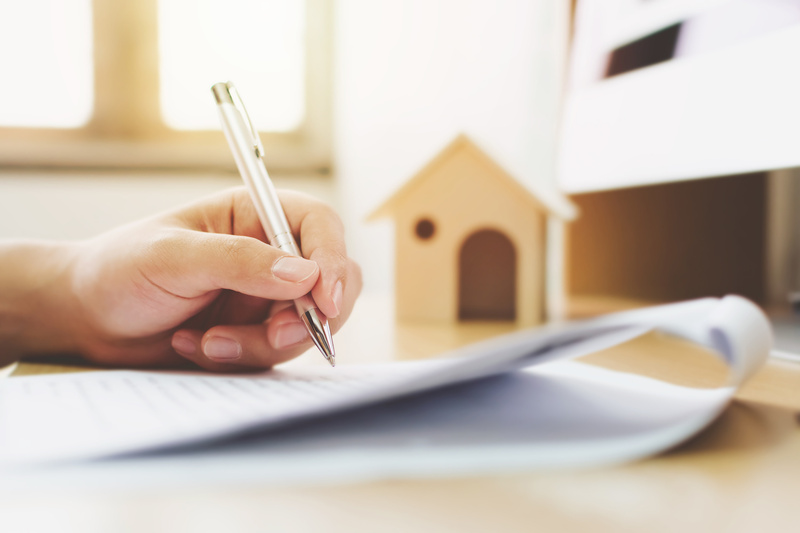 To fully understand the intricacies of the refinancing closing, it’s helpful to first understand how the process works in a new mortgage closing. Check out our article, “9 Steps for a Smooth Real Estate Closing” before reading on. Here are the steps your real estate attorney will take to close your mortgage refinance. Step 1: Review the request order for title refinance. In this first step, your closing attorney will need to obtain information about the existing mortgage and its associated documents, such as the original survey and your existing title insurance policy. Securing a copy of your prior title insurance policy can save time and money. Step 2: Conduct a title search. Next, your real estate attorney will complete a title search on the property to review the status of ad valorem taxes and see if there are any liens attached to the property. A thorough title search includes an examination of the legal description of the property as well as a name search on everyone who has or had an ownership interest beginning with the base title. A proper legal description (sometimes referred to as a land description) is required to mortgage the property. Step 3: Obtain title commitment. At this stage, your closing attorney will review the lender’s title requirements—starting with the general and specific instructions and then determining the title policy requirements, including any endorsements and a recitation of the chain of title. There is a copious amount of related information that the real estate attorney must check in order to prepare and issue an accurate title commitment. Once the title commitment is prepared, a copy will be sent to both you and the lender. Your lender will also receive a completed preliminary closing document request, as well. Step 4: Process and prepare the closing documents. Once secured, your attorney will confirm the lender’s funding and disbursement procedures, update the title commitment to reflect any additional requirements or exceptions, and send the lender any updates or changes to the closing documents. Now it’s time to prepare the closing checklist. This will necessitate a review of powers of attorney, trusts, entity documents, and resolutions so the authorization of all signatories can be confirmed. Homeowner’s insurance, compliance with the lender’s requirements, and all title requirements also will be reviewed, with special attention to the payoff and estoppel instructions. Once your real estate lawyer has received and vetted all the information, you’ll be contacted to schedule and confirm the closing date and time. If you are unavailable because you are outside the state, Florida law allows residential closings to be done through a “mail away” process. In this case, the required documents can be sent through overnight delivery, email attachment, or by fax. Don’t worry! Your closing attorney will go over the specific mail away instructions with you and enlighten you to any other pertinent requirements. After completing the closing checklist, the closing documents are ready for preparation. All applicable affidavits, closing disclosure information, and any escrow agreements for unpaid bills will be included. Next, the loan package will be completed. This step requires your real estate attorney to confirm CD balances and to obtain Lender approval for any changes to the initial loan documents. Both you and the lender will receive copies of the closing document package. Step 5: Perform pre-closing updates. Before proceeding to the closing, it’s essential for your closing attorney to order a title update. Most likely, nothing will have changed, but it’s possible. However, catching any discrepancies prior to the closing will protect you, and make sure the final refinancing closes without issue or delay. Step 6: Facilitate the closing. It’s time for all this hard work and thorough preparation to come to fruition. The closing encompasses the execution of the closing documents, the disbursal of funds, the recording of the required transactional data and the issuance of policies and endorsements. Once completed, your real estate attorney will send the above-listed documents to the lender (as required by the closing instructions) and give you the executed loan package along with a copy of the three-day right of rescission notice. Once complete, the funding transaction of checks or wires can be verified, initiated, and distributed to the appropriate entities such as the mortgage broker, survey company, existing lender, Clerk of Court, title company or attorney, appraiser, couriers, and other stakeholders. Note: Your real estate lawyer will also carefully monitor the recording of the previous mortgage satisfaction. This recording must occur within 60 days of the receipt of payoff. Step 7: Verify the recording of all insured instruments. Step 8: Verify the recording of the mortgage satisfaction. The remaining component of the refinance process is the issuance of a mortgage title insurance policy. The closing lawyer will also check the public records to make sure the Satisfaction of Mortgage has been recorded. If you need assistance with closing your mortgage refinance, then reach out to Bruce R. Jacobs today to ensure everything is done precisely the right way. Choosing a trustworthy real estate attorney can make the refinancing process much smoother and ensure that you don’t make any costly or dangerous mistakes.